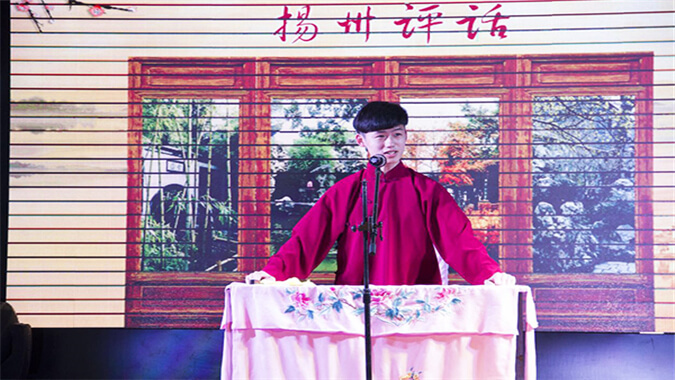 Yangzhou Tanci(storytelling to the accompaniment of stringed instruments)Originally known as “Xianci”,Yangzhou Tanci is a local folk art popular in Yangzhou,Zhenjiang,Nanjing and Lixiahe Area in North Jiangsu.Yangzhou Tanci is mainly performed by storytelling,supplemented by singing.Similar to Pinghua(a style of storytelling mixed with singing),Yangzhou Tanci is told and sung in Yangzhou dialect,but other local dialects are adopted when a new character is mentioned,so as to distinguish and vividly describe the character.The traditional items include Jade Dragonfly,Pearl Pagola and Story of White Snake. 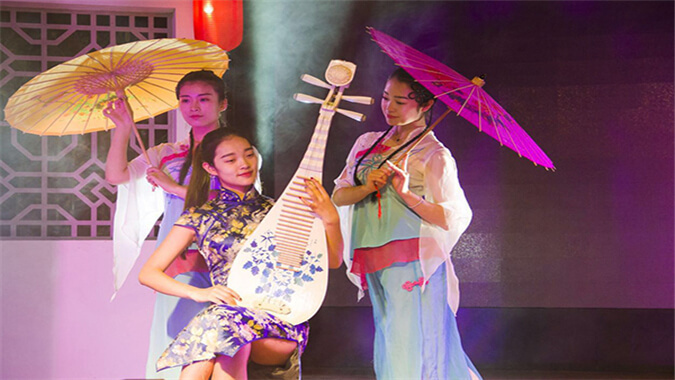 As one of the classical folk art forms with the longest history in China,Yangzhou qingqu contains lots of folk music of the Ming and Qing dynasties,and in particular,some words of folk songs have been well preserved in Yangzhou Qingqu.The five major tones of Yangzhou Qingqu are “Pipoyu”,”Ruanyuping”,”Lidiaio”,”Nandiao” and “Boyang”. 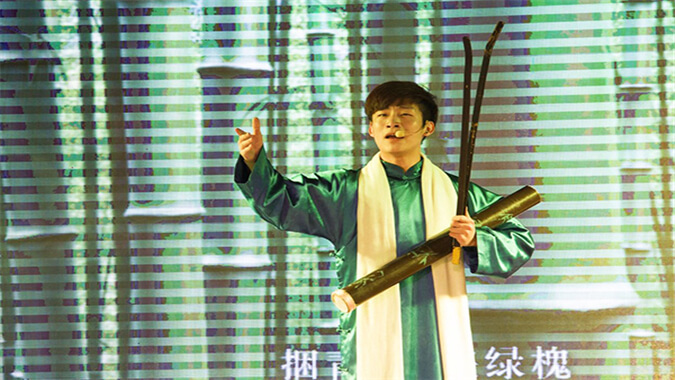 Yangzhou Pinghua has distinctive characteristics.As compared with Suzhou Tanci and North China Gushu(versified story sung to the accompaniment of a small drum and other instruments popular in North China),the performers of Yangzhou Pinghua tell story without any musical instruments,but with lucid and lively rhythms,showing its unique style.